Snap continues to offer more reasons to its users to remain connected to Snapchat even if they don't have anything to share. 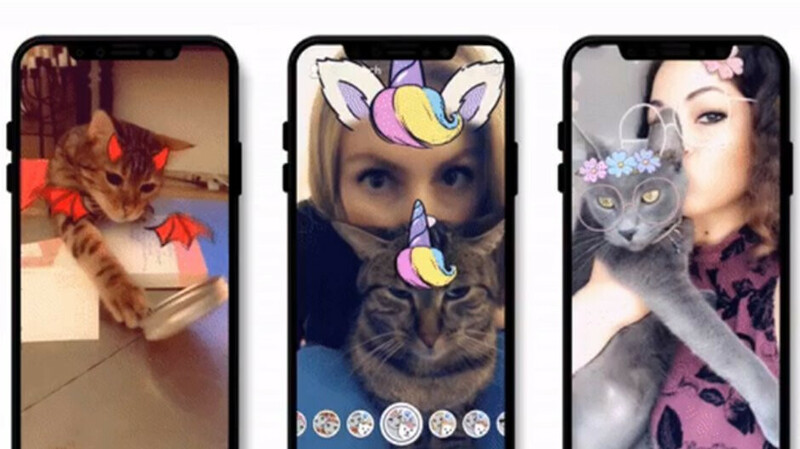 Apparently, adding all sorts of AR Lenses designed for people and animals is one way to increase engagement, otherwise, we can't explain the sudden interest in having special Lenses released for cats. Thanks to a server-side update, Snapchat can now detect your cat's face and apply lenses to it. Previously, the app could only do that with human faces and, sometimes, with animals. Unlike the older Snapchat filters meant for dogs, which don't always work properly, the new lenses for cats are a completely different matter. Snapchat seems to be able to reliably detect cats' faces and apply these new filters like glasses, bat wings, flowers, and unicorn horns. Of course, there are a lot more lenses for cat lovers, but what makes the new feature interesting is the fact that you include yourself in the picture and match filters on both your and your pet.